vCenter 6.5 is the newer version of the vCenter Server announced along with the vSphere 6.5 last year. 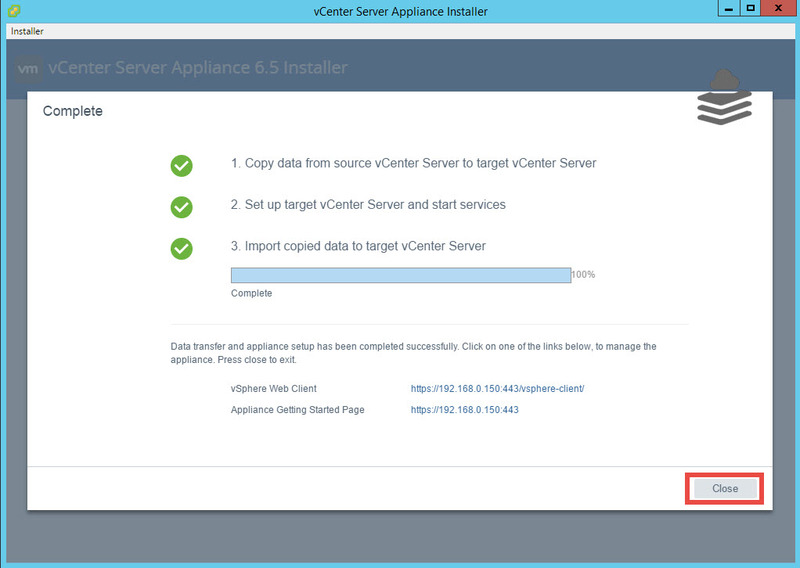 vCenter is used to manage the multiple ESXi hosts from single centralized management. 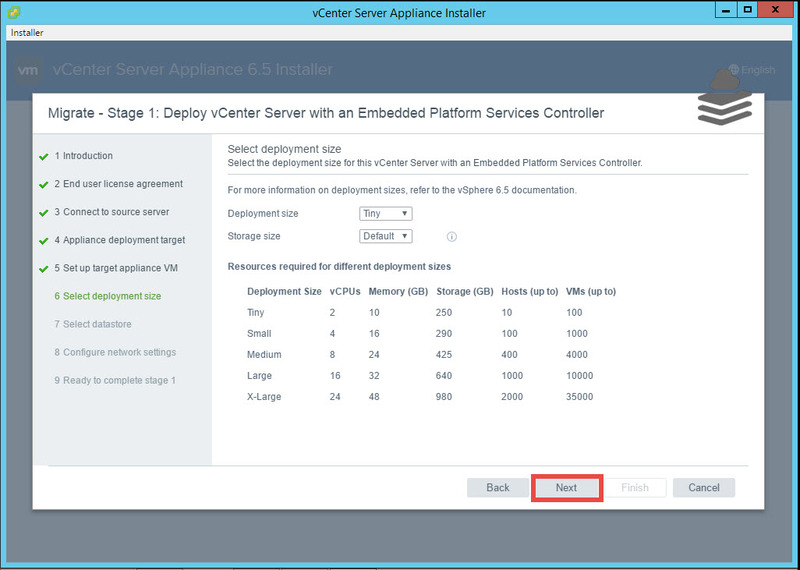 vCenter 6.5 comes with the new features & many improvements. 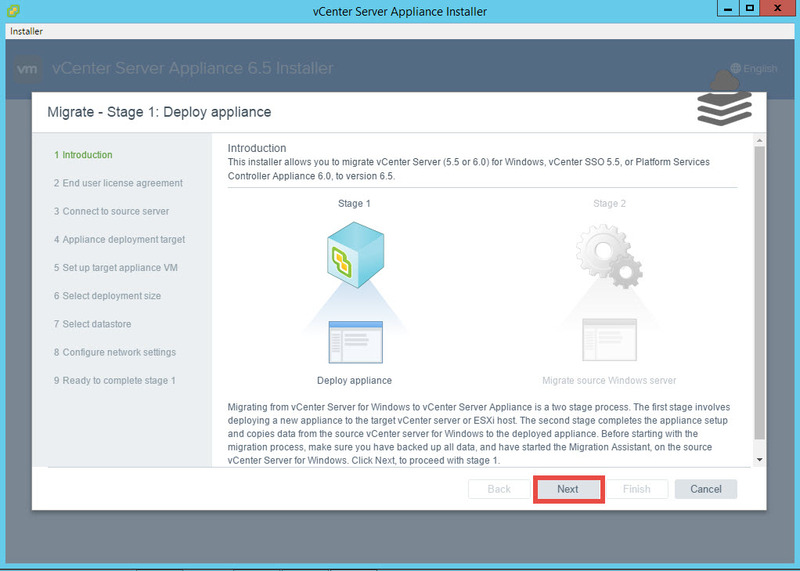 In our previous posts we have seen on how to install vCenter Server 6.5 in Windows server but in some cases it is required to migrate vCenter Server to vCenter Server Appliance. 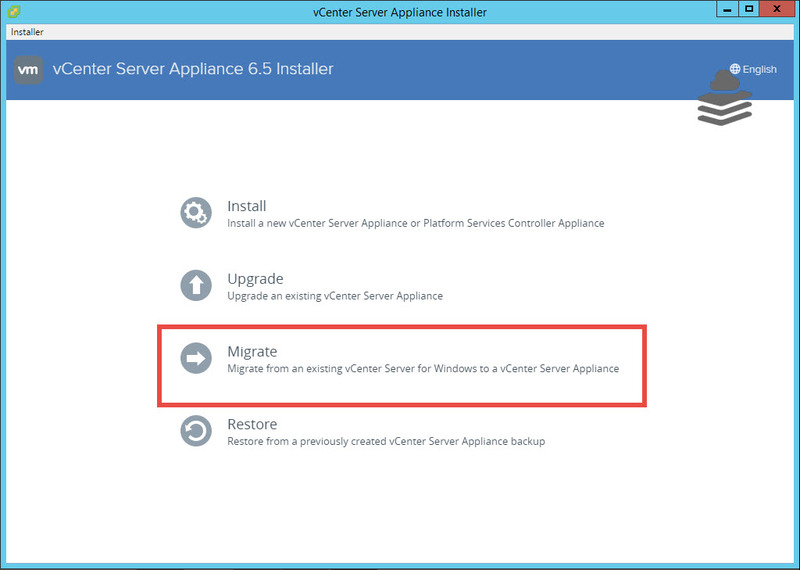 In this post we will be migrating from vCenter Server 6 which is installed on Windows Server 2012 R2 to the vCenter Server Appliance 6.5 which will be directly deployed on the ESXi host & all the data will be migrated to the VCSA 6.5. So let’s start with the migration process without any time waste. 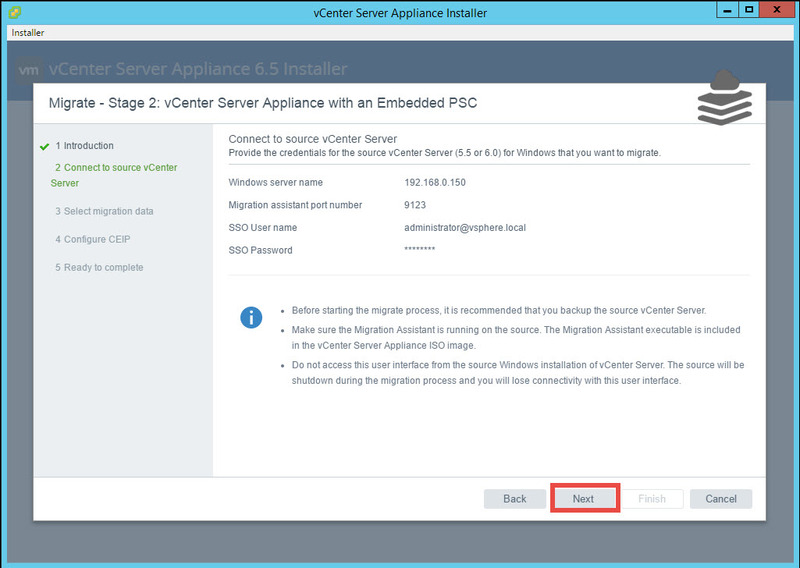 Note: Do not run the Migration process on the same machine where vCenter Server is installed. Use the different machine. 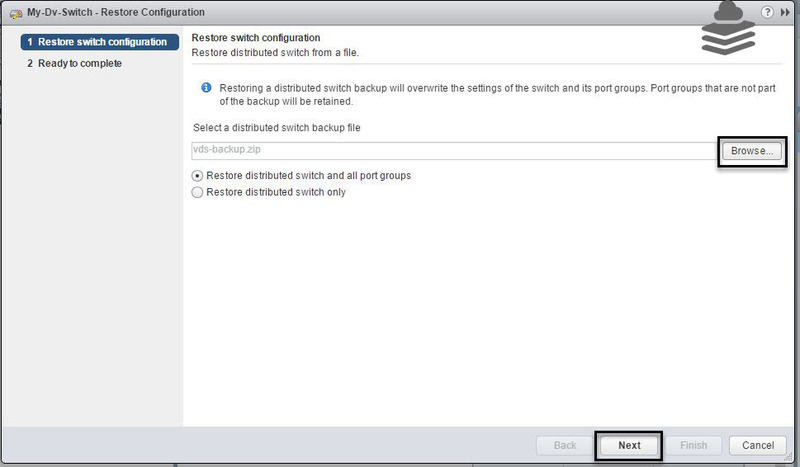 Before starting with migration first take backup of your vCenter Server. You can also create snapshot or clone. 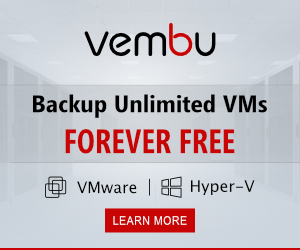 Take the backup of your database if you are using external database. 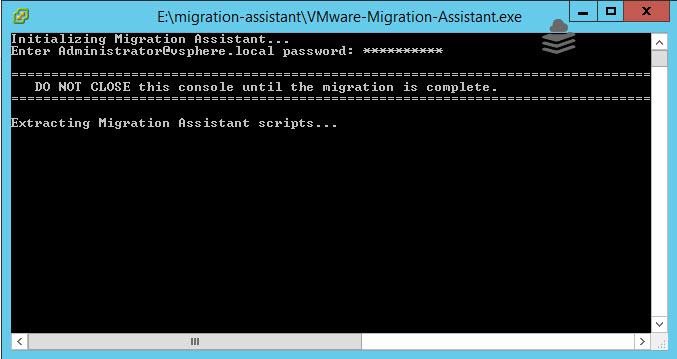 First we have to start the migration assistant which will be used in the process by VCSA 6.5. 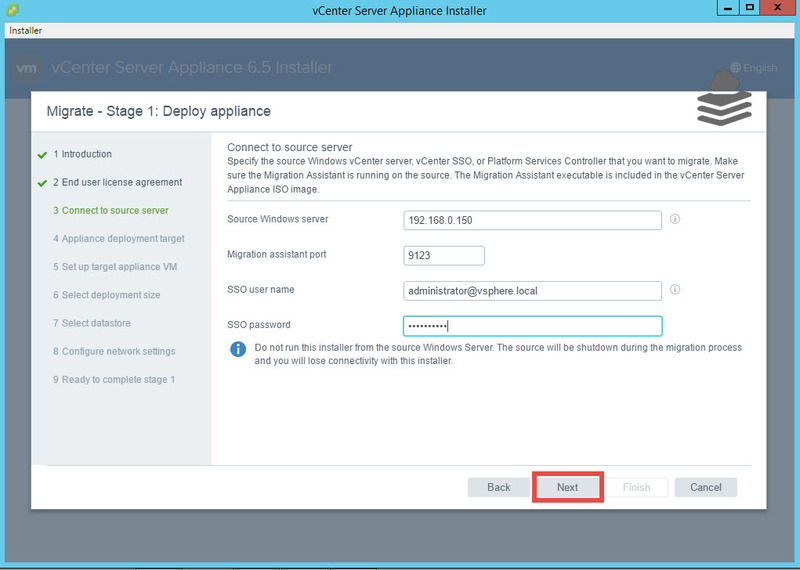 You will get the VMware-Migration-Assistant in the VCSA 6.5 ISO. Browse to the path ISO>migration-assistant. Provide the password & press Enter. Note: Do not skip this step or you will get the error after. 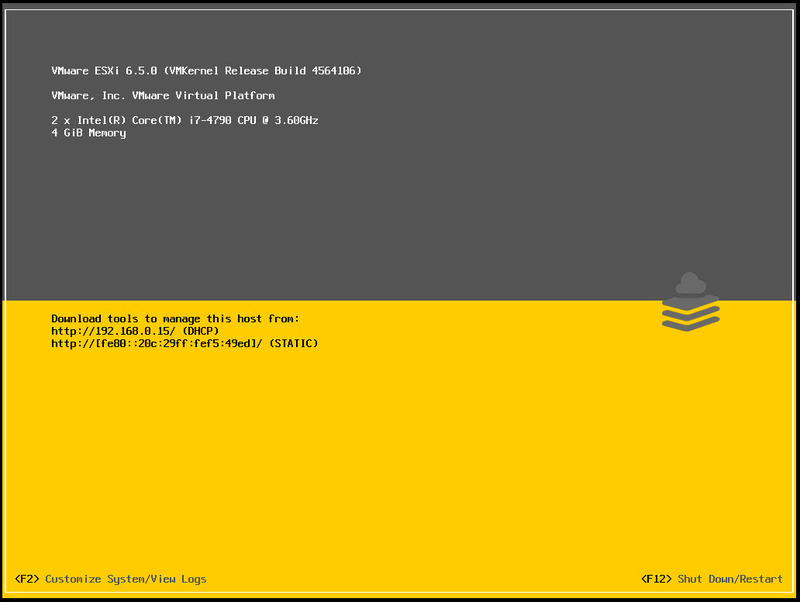 Now we will start with the VCSA 6.5 deployment. 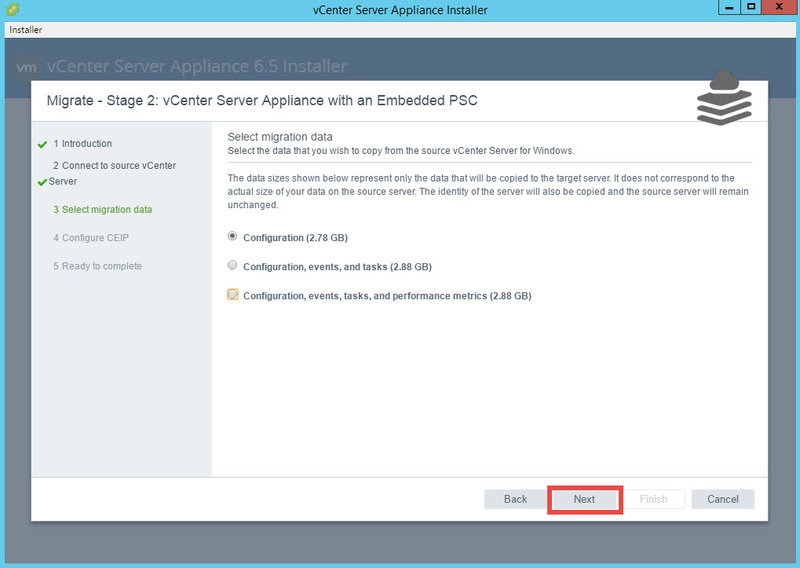 We are migrating from the existing vCenter Server to VCSA 6.5 so choose the third option “Migrate”. 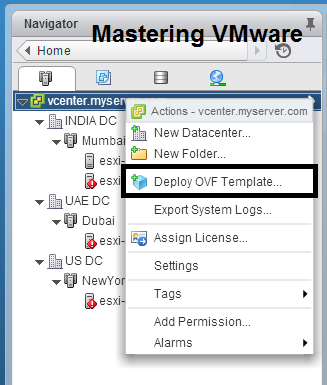 Here we have to provide the source vCenter Server details such as vCenter Server name or IP, SSO username, SSO password. 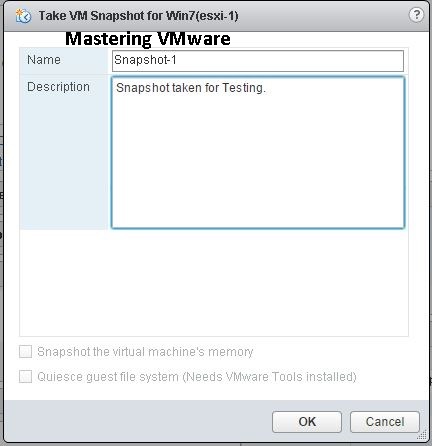 Here it will verify that VMware-Migration-Assistant is running if not they you will get error. You will get certificate warning after clicking Next. Click Yes to accept the warning & continue. Provide the ESXi host details such as Hostname or IP, Username & Password on which you want to deploy the VCSA 6.5. 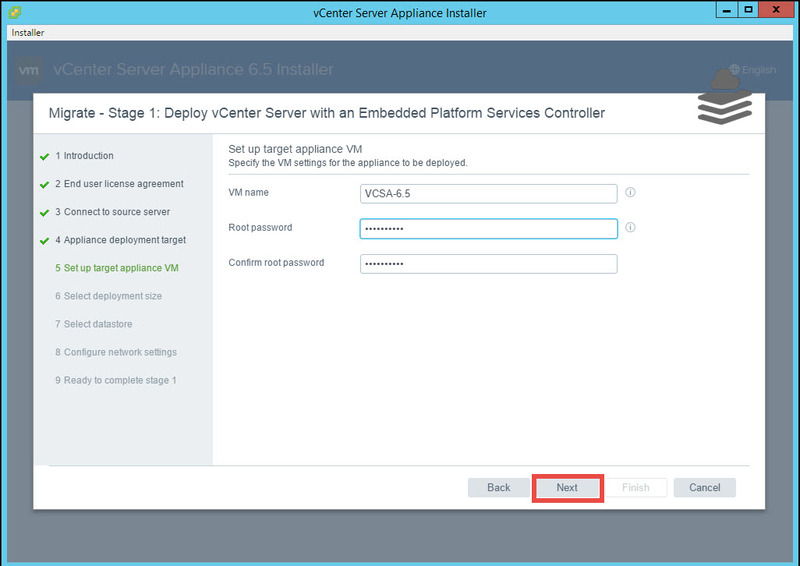 Set the VCSA 6.5 VM name here. 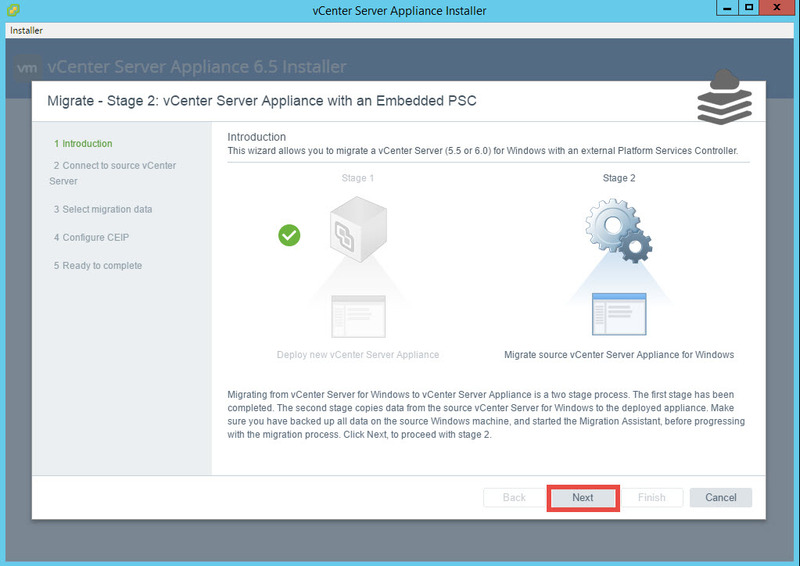 Set the root password of the VCSA 6.5. Choose the deployment size according to your environment. 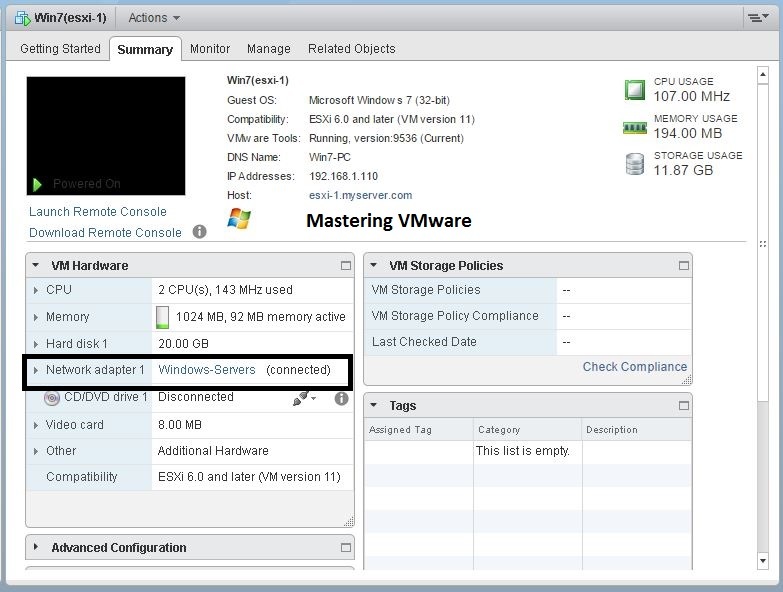 Specify the datastore for VCSA 6.5. You can also enable Thin disk mode if you want. 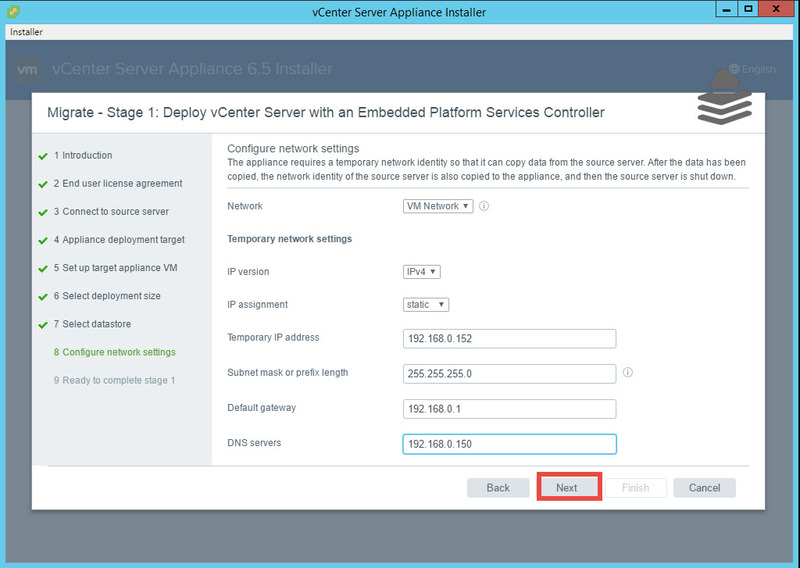 Here you need to provide the network settings for your VCSA 6.5. 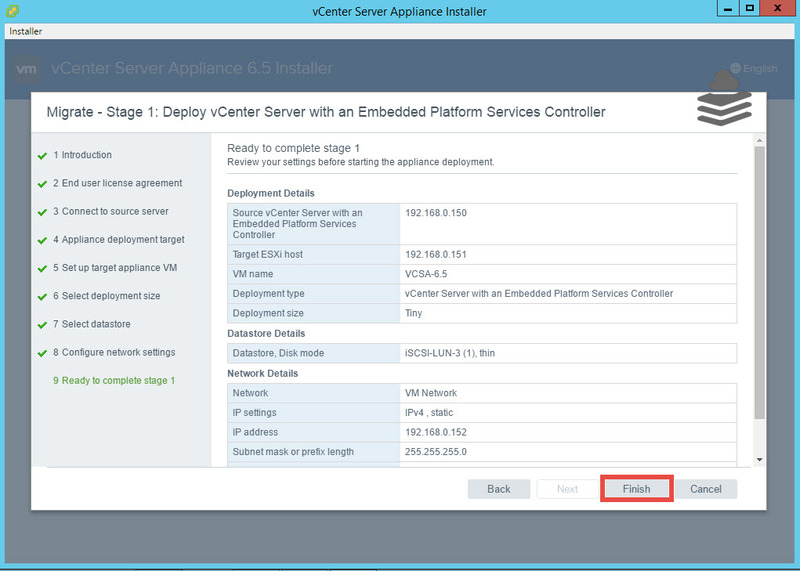 You have to provide the Temporary IP address because after successful installation your VCSA 6.5 will be using your Existing vCenter Server IP address. Check & Verify all the configuration you have done. 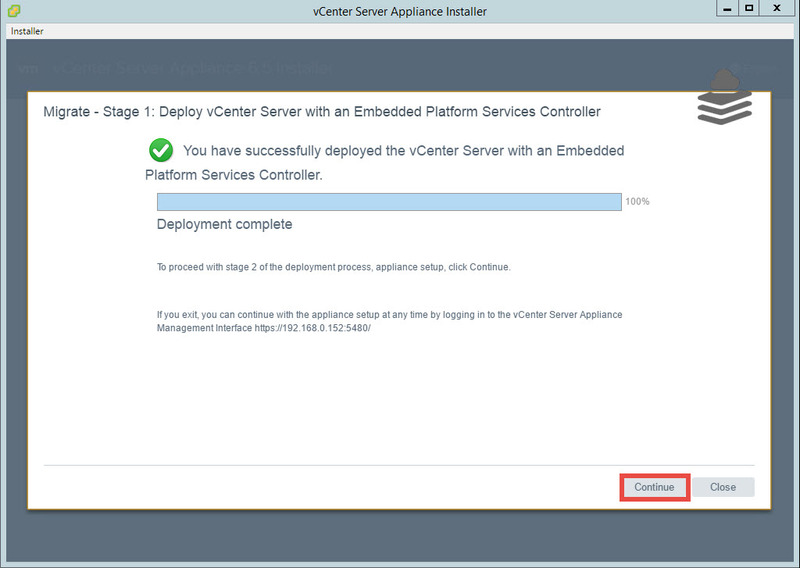 Click Finish to start the Stage 1 deployment process. It will take few minutes to deploy the Appliance. Click Continue to start with Stage 2 configuration. Now the pre-migration checks will run . 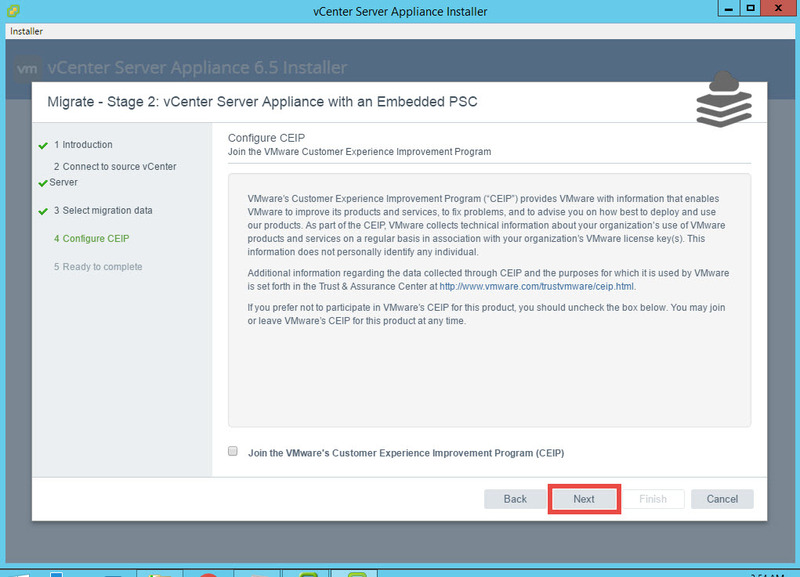 After the successful pre-migration checks you will get the details to connect to source vCenter Server. Choose which data you want to migrate & click Next to proceed. 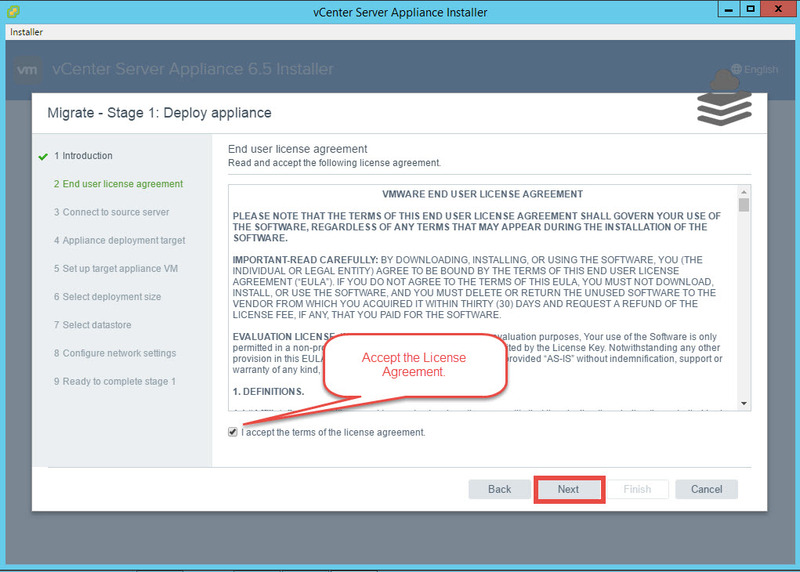 Check & verify all the configuration & check the box at the bottom. Click Finish to start the Migration. 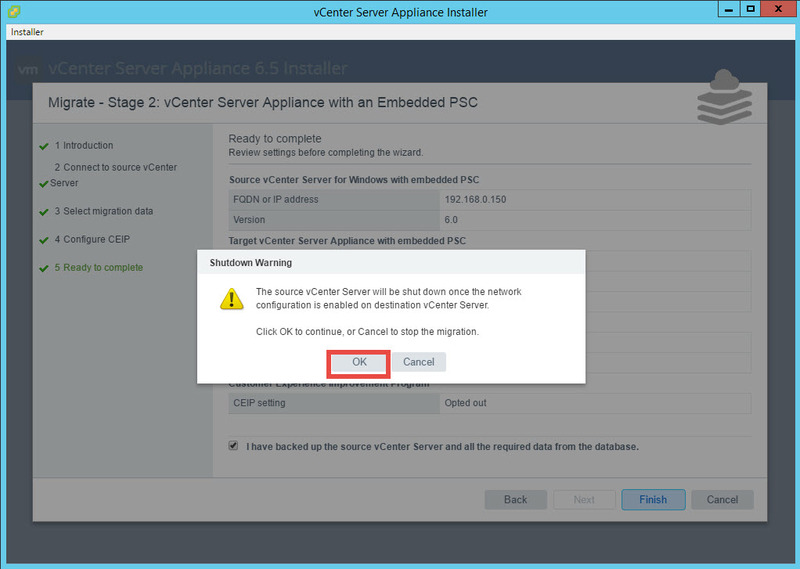 Here you will get warning that during the migration process source vCenter Server will be powered off after network configuration is enabled on new VCSA 6.5. Migration will take 30-45 minutes depending on your environment. After successful migration you will get above screen in which all the steps are completed. 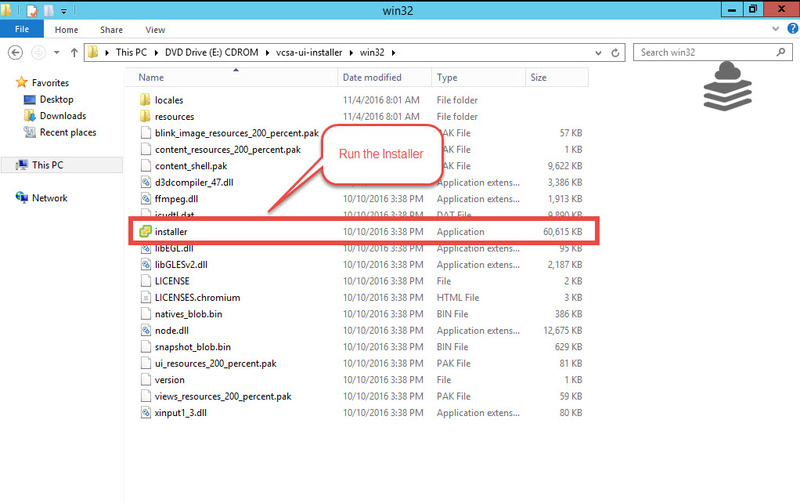 Now you can close the installer by clicking on close button. You can now see that your source vCenter Server is powered off & newly deployed VCSA 6.5 is running. 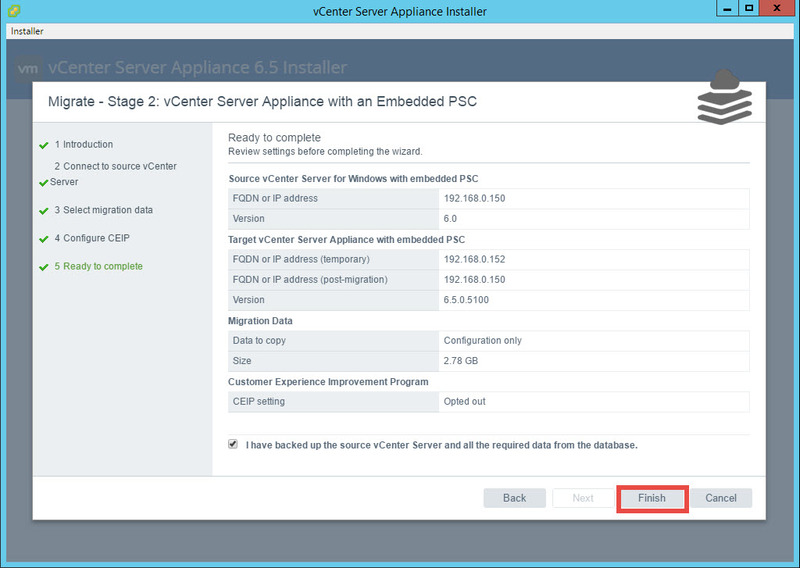 You can access to the new VCSA 6.5 by using the same IP or hostname you have used for existing vCenter Server. 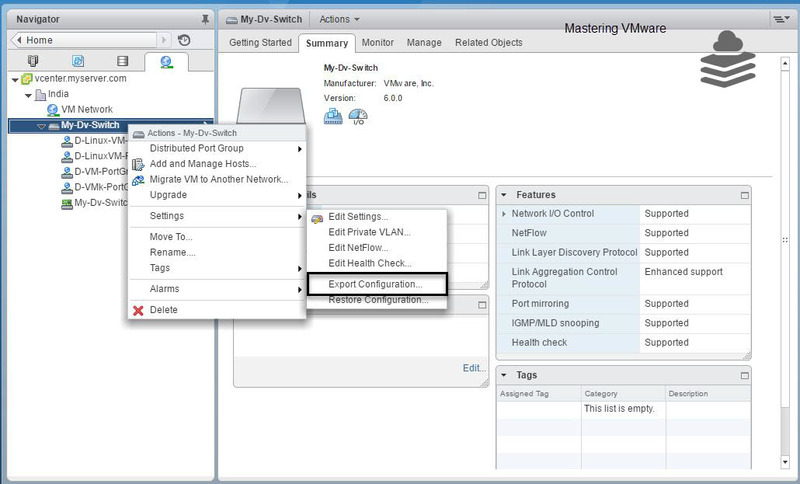 Login to vSphere Web client & verify that all the configuration & virtual machines running smoothly.